We’ve all heard about the importance of curb appeal on popular real estate shows, and while it may get old to hear the phrase repeated over and over again, its importance cannot be overstated. 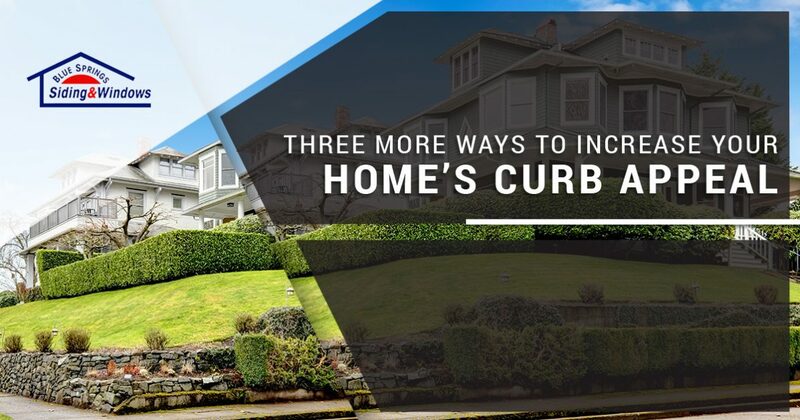 We gave you a few tips for improving your home’s curb appeal in a previous post, and in today’s post, we’ll provide you with three more tips that can help you increase your home’s value and curb appeal. When you’ve finished reading this post, get in touch with a member of Blue Springs Siding and Windows to learn more about our sunroom installations, door installations, and other home improvement services. We have something for every aesthetic preference and budget, and we would love to help you find the perfect addition to your home. Much like your windows and siding, the doors in your home can significantly add or detract from its overall beauty. 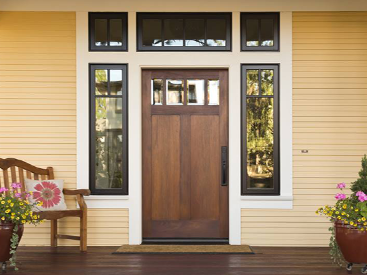 Visitors and passersby will all notice the state of your entry door, and if it’s cracked, chipped, or warped from years of wear and tear, then your home definitely isn’t looking its best. A new entry door may be just what you need to make your home stand out in a real estate listing. Even if you don’t need to invest in an entry door installation, you should consider upgrading the other doors in your home. A French door installation, for instance, can add a touch of elegance and class to any room, while a sliding door installation can make your patio feel warm and welcoming. If you’re curious about seeing our different door options, then just come by the showroom to view our wide selection! We’ll gladly help you find the perfect door installation for your home. 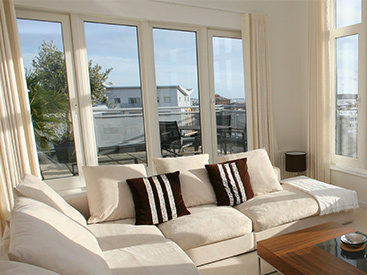 As we noted in a previous post, a sunroom installation is one of the best investments you can make in your home. 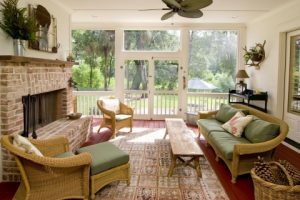 In addition to increasing your home’s overall square footage and providing you with the ideal space in which to read or entertain guests, a sunroom will certainly make your home stand out when you list it. You may be wondering if your new sunroom will be able to match your home’s exterior, and the answer is a resounding, “yes!” At Blue Springs Siding and Windows, we proudly provide sunroom installations using materials from Crown Windows & Sunrooms. Their versatile and innovative designs allow you to truly customize your sunroom with the color scheme you’ve already chosen for your home. There’s probably one or two homes in your area with roofs that have seen better days. While most roofs last between 20 and 30 years, some homeowners choose to keep their roofs for much longer. If your roof is beginning to show signs of disrepair, or if you’re concerned that it’s nearing the end of its life cycle, then get in touch with one of our roofers to learn more about how much a roof replacement would cost. We’ve detailed the costs and ROI potential of a roof replacement in this post, so be sure to catch up on that information if you haven’t yet read it. Just like a sunroom installation, a roof replacement will signal to buyers that you care deeply about improving your home, potentially leading to a fast sale. 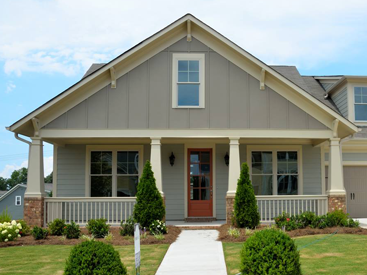 We hope that this post will help you improve your home’s curb appeal and increase your home’s overall resale value. Whether you plan on selling your home within the next few months, or maybe in a few years, these tips will help you prepare your home for a quick sale that helps you maximize the return on your investment. At Blue Springs Siding and Windows, we know that investing in your home is a big financial decision. Whether you’re buying a sunroom or replacement doors, you need to know that the company you’ve chosen will perform the installation correctly the first time. As part of our ongoing commitment to providing you with exceptional service, we selectively hire talented experts who perform each installation with precise and careful attention to detail. However, we don’t stop there. We provide a lifetime guarantee on each and every product and service we offer, providing you with the confidence you need to invest in your home. Get in touch with us today to get started!